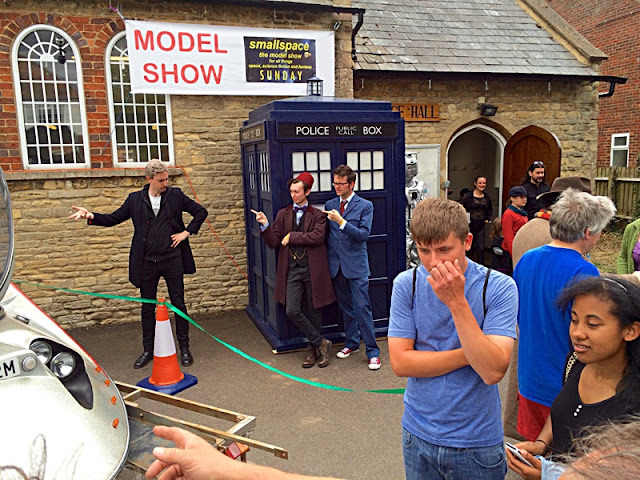 BBC SCIENCE FICTION featured strongly at Smallspace 4. 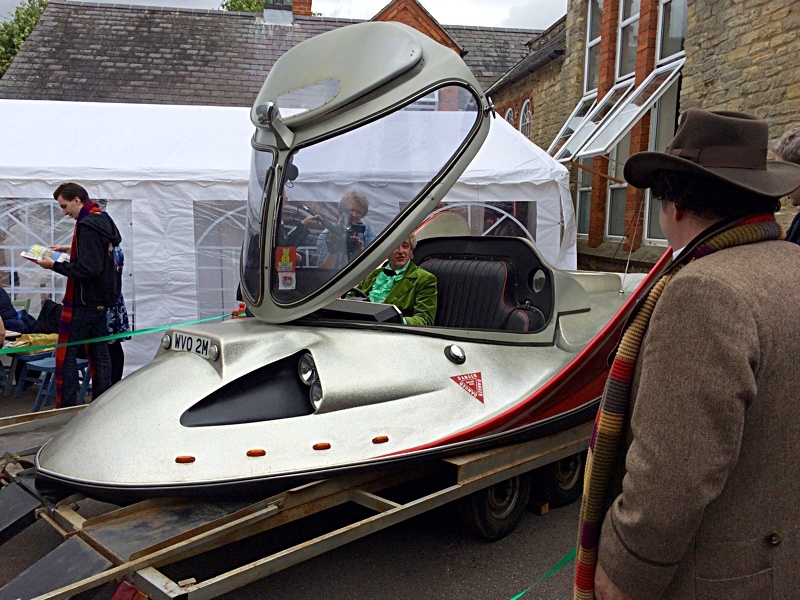 Outside the main hall (above) a bunch of Doctor Who lookalikes posed next to the Whomobile car. 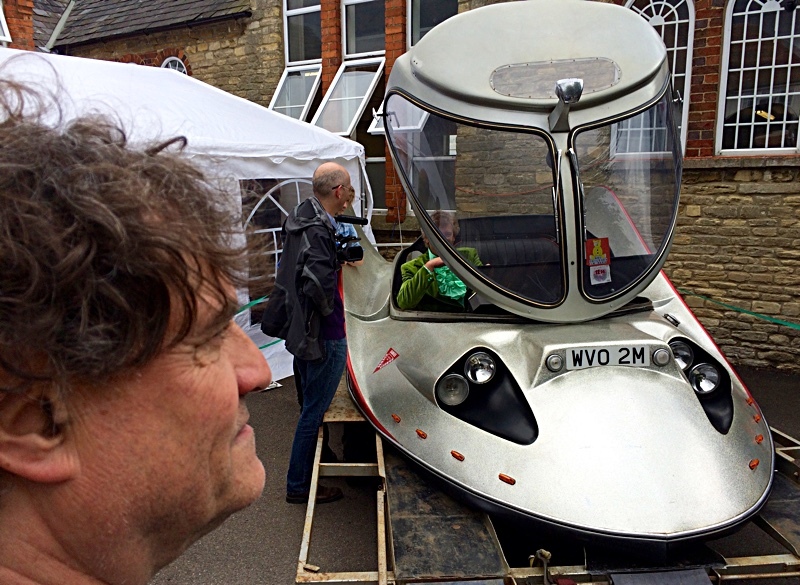 The Whomobile (above, below) was surprisingly clean and tidy, considering its age of 40-plus years. 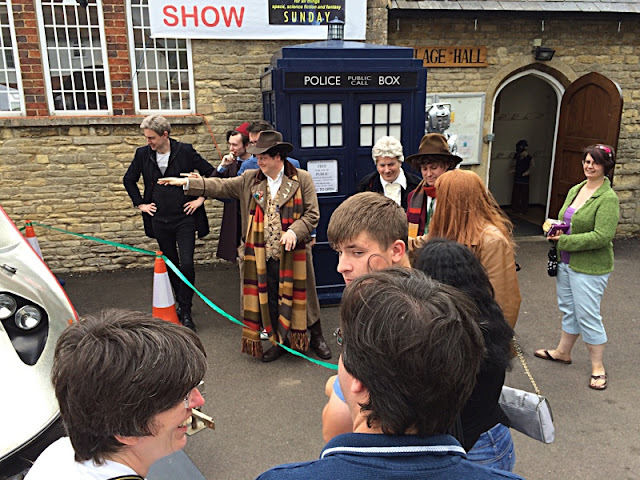 More Doctor Whoalikes (below) gathered outside the life-size TARDIS police box. 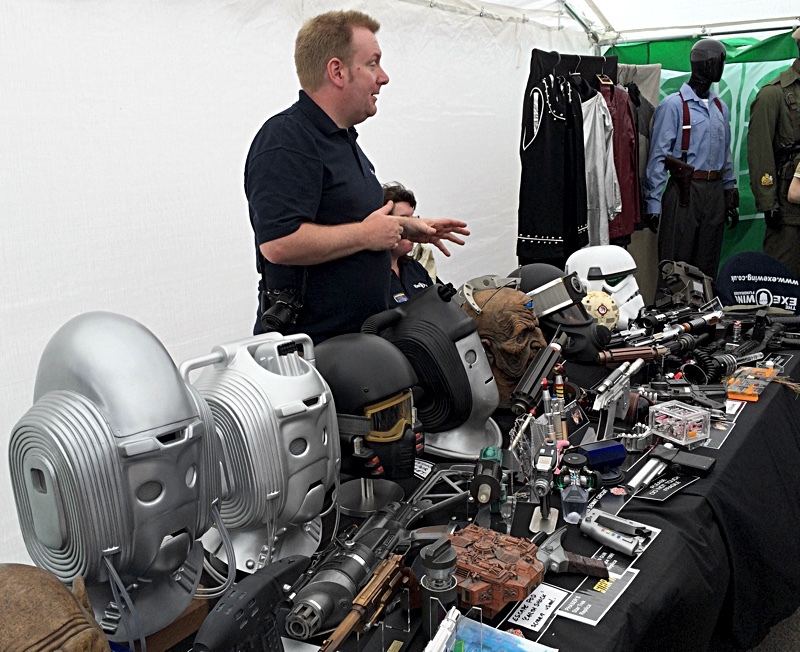 A cyberman replica (above) stood guard, while a range of assorted alien heads (below) were displayed inside. The U.N.I.T. (UNified Intelligence Taskforce) was a fictional organization that featured in three BBC TV series, Doctor Who, Torchwood, and The Sarah Jane Adventures. 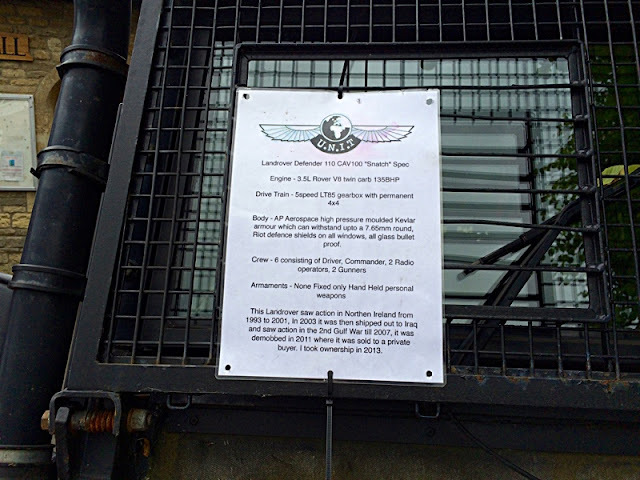 The classic Land Rover Defender seen (below) brought to Smallspace 4 by Chris Marsh, is actually an ex-British Army machine that went into private ownership in 2011. 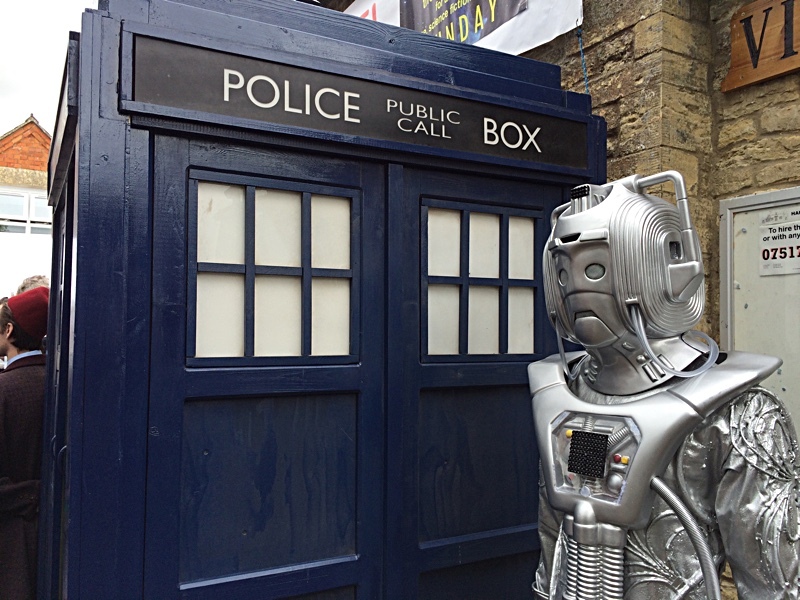 Relatively simple mods have made it look highly convincing in the metal. 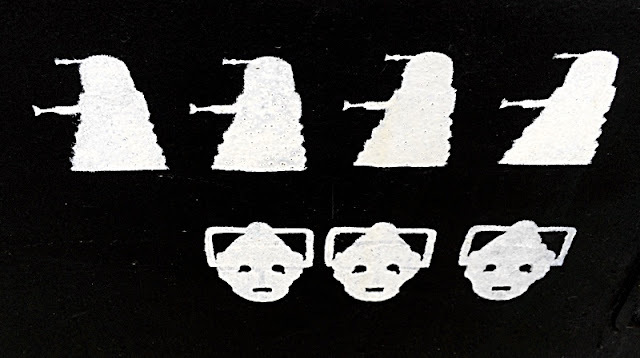 Combat markings (below) painted on the Land Rover showed that four Daleks and a trio of Cybermen have been whacked - so far! 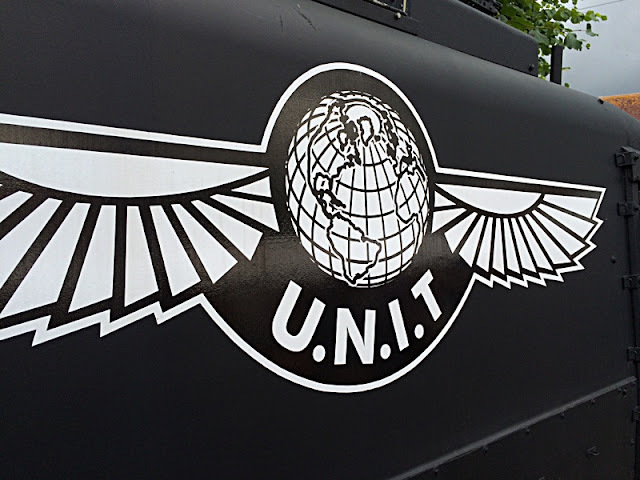 Background info (below) on the U.N.I.T. 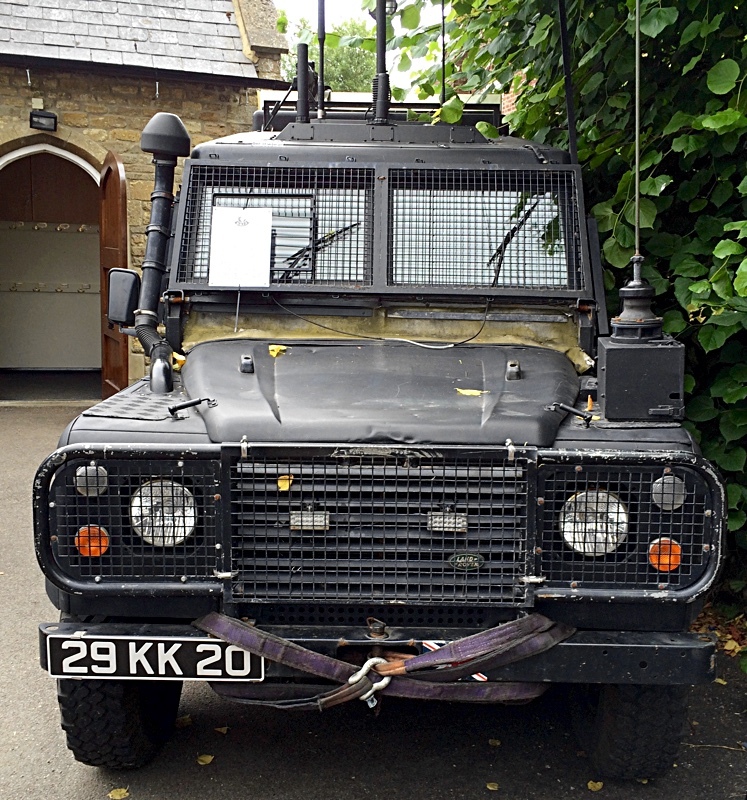 Land Rover. 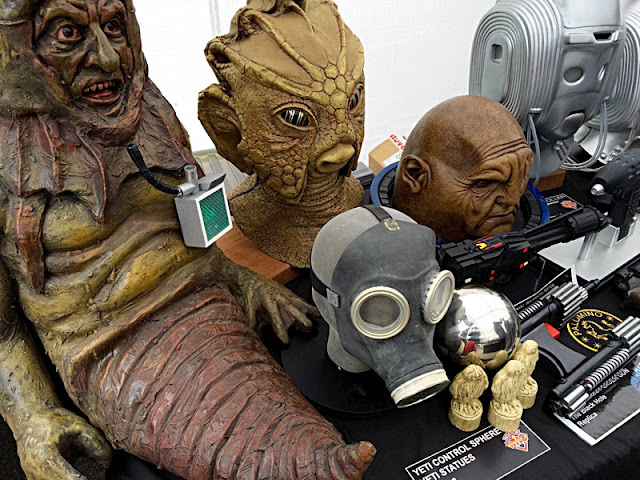 Assorted aliens from Doctor Who episodes (below) showed off the creative skills of the team who conceived, designed, and made them. 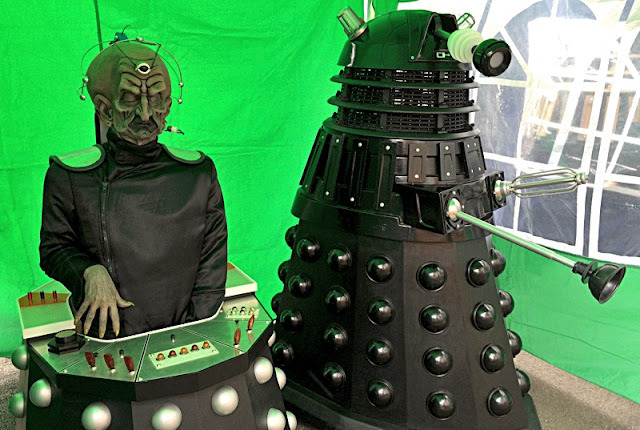 Davros and a Dalek (below) lurked within a suitably grisly green display tent. 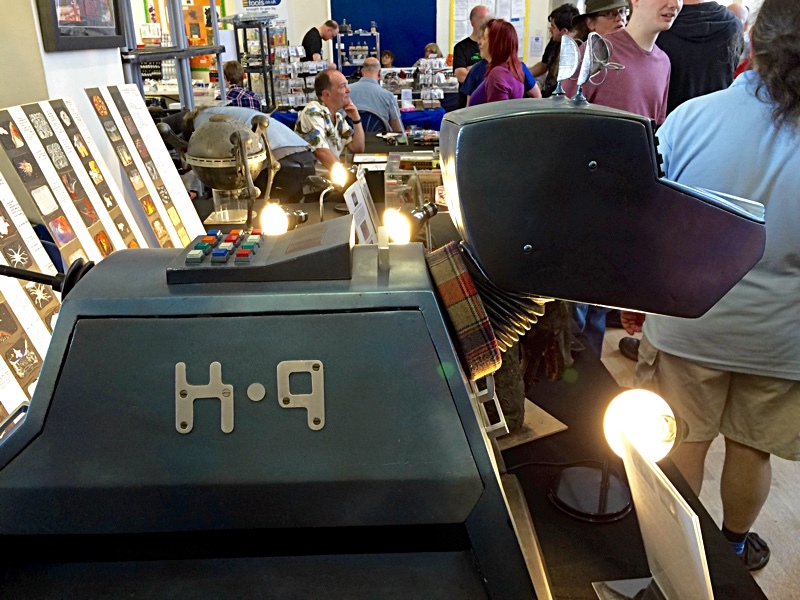 Doctor Who's K-9 robot dog (below) remains in working order today, thanks to the technical efforts of Mat Irvine. 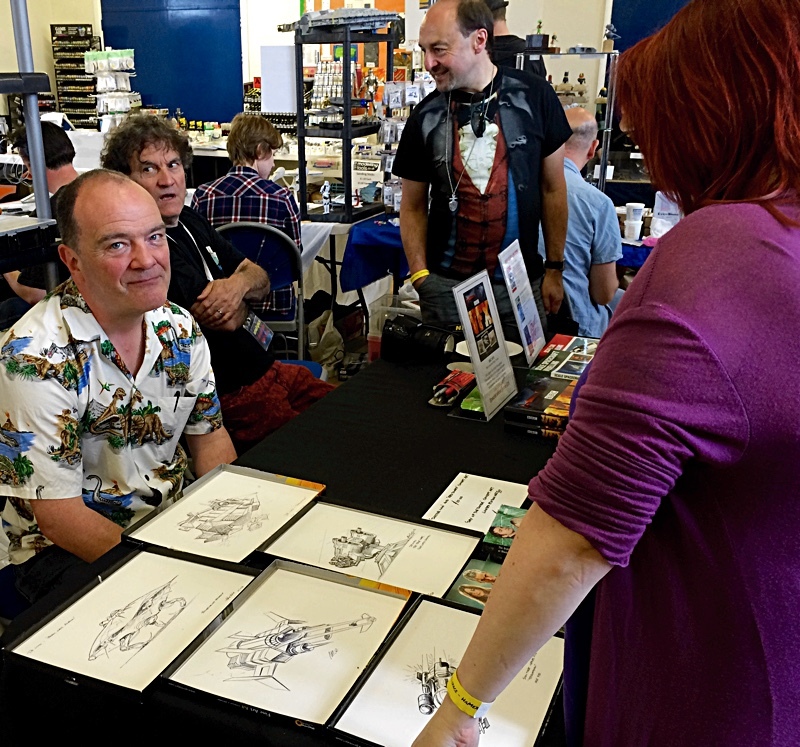 Effects modeller Mike Tucker (below left) was at Smallspace 4, showing his books and signing copies of concept sketches.